Small children, grandchildren? I’m guessing they would love the children’s garden at South Coast Botanic Garden, on the Palos Verdes Peninsula, as much as you will! 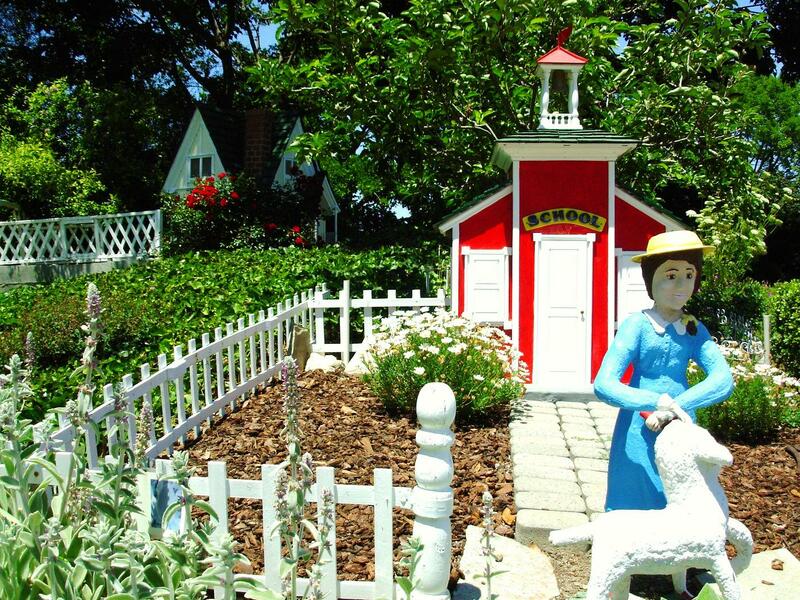 Nursery rhymes are displayed in a separate little garden area, near the entrance. Really adorable! For adults, it’s a great way to reminisce and spend some time out of touch with city life. Lots of pathways to explore along with some hands-on things for the kids. Once you’re done being a kid again, you can get great exercise walking the grounds of this gorgeous 87 acre sanctuary. When I went yesterday, though, it was HOT. Unexpectedly HOT. My camera bag weighed more with each step, so I didn’t venture much beyond the rose garden. During previous cooler visits, Kat and I have explored the entire grounds, including the lake and furthest pathways. I could wander there for endless hours, and will again, once our SoCal summer is ever REALLY over. There’s always something new to see, a pathway formerly overlooked. Take a book, find a hidden bench, relax, the world will pass you by.